"Hairstyles are temporary, but family is forever." 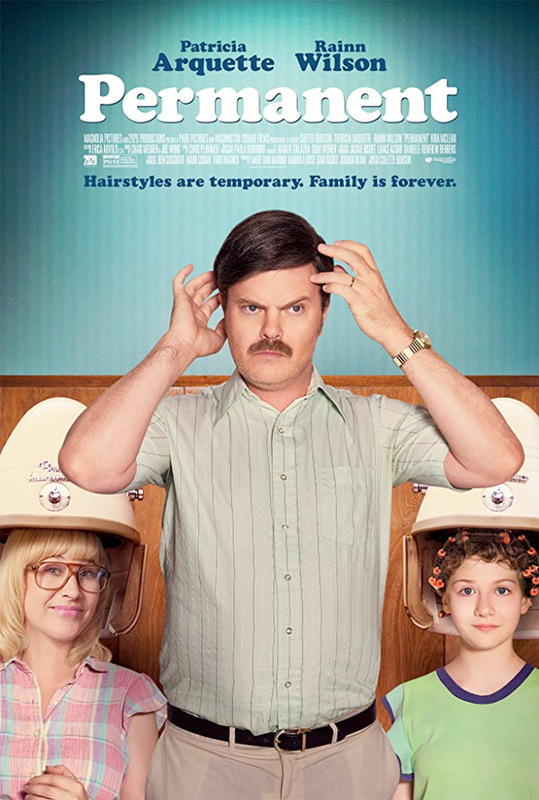 Magnolia has debuted an official trailer for an indie comedy titled Permanent, set in the 1980s about a young girl who gets a special hairstyle to fit in. The title is, of course, referring to the 80's hairstyle called "permanent", or better known as a "perm", with big Farrah Fawcett-type curls. When she tries to get this done at the wrong place, it turns out to be a disaster, turning her into the laughing stock of the school. Kira McLean stars as Aurelie, along with Patricia Arquette and Rainn Wilson as her parents, plus Aidan Fiske, Jane McNeill, and Brian Bremer. This looks fun, quirky, and charming, in a quintessential indie way of course, which is why it also looks mostly forgettable. Set in 1983 in small town Virginia, Permanent centers around a 13 year old and her family. The story of a hairstyle gone incredibly wrong and a young girl's plight to fit in while encountering bullies at a new school. Permanent is a comedy about bad hair, adolescence, and socially awkward family members. It involves life-altering permanents and poorly-made toupees. Obstacles to daily survival ensue. Permanent is both written and directed by filmmaker Colette Burson, of only Coming Soon from 1999 previously. This first premiered at the Edmonton Film Festival, and also played at the Austin Film Festival last month. Magnolia Pictures will release Permanent in select theaters + on VOD starting December 15th. Anyone?